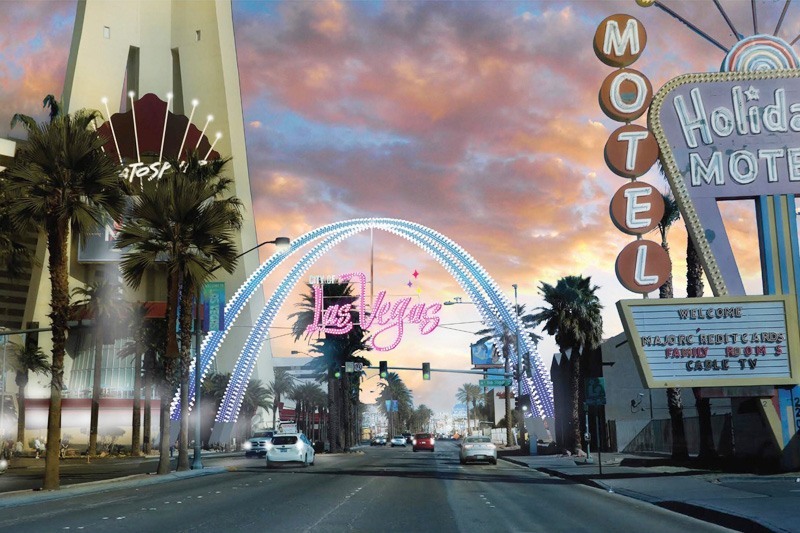 The City of Las Vegas recently revealed plans for a welcome arch to greet visitors to downtown. 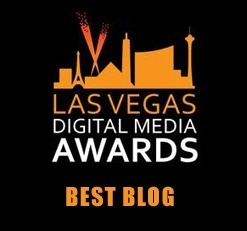 The announcement of the “Las Vegas Gateway” project has caused a lot of confusion, so please don’t skim this story for a change. A location for the downtown Las Vegas gateway arch hasn’t been determined yet, but it’ll be fancy. Thankfully, Las Vegas drivers are known for their alertness and competency, so no worries about a dazzling welcome arch distracting them. Whatsoever. The arch rendering was released following a City Council meeting where $60,000 was approved for property rights for the project, but not the arch part. Told you it’s confusing. 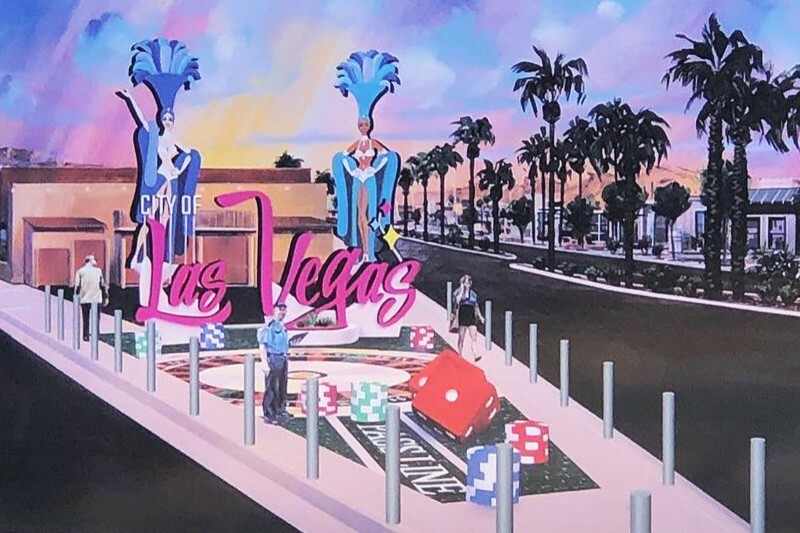 Additional confusion has resulted from the fact the artist that did the Las Vegas Gateway rendering took some liberties with the time-space continuum. 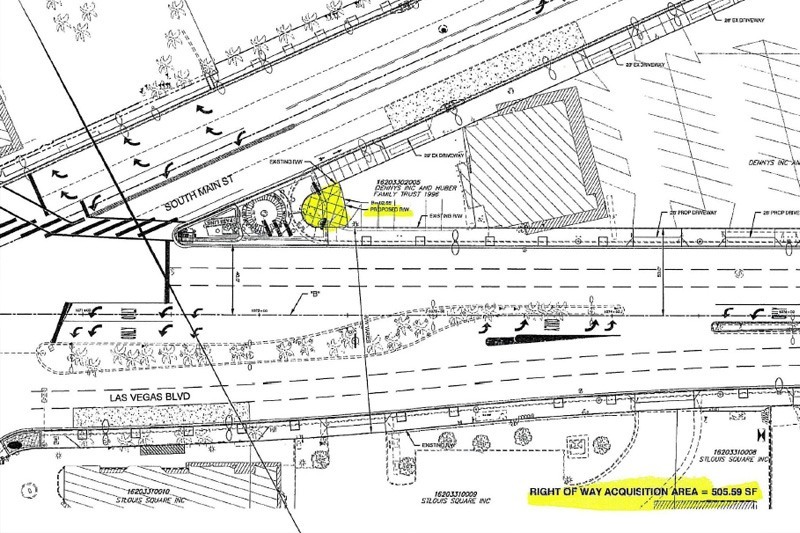 Here’s a look at the site in the arch rendering, described as a “work in progress” by those familiar with the project. Officials don’t know where the arch is going, but it won’t go where the artist put it. 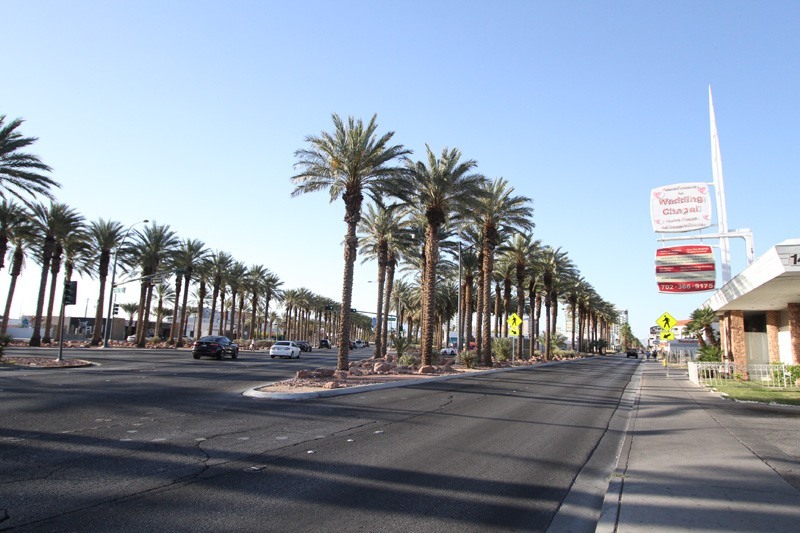 The most logical location for the arch is at the symbolic “entrance” to downtown from the Las Vegas Strip, at Sahara Ave. near the Bonanza Gift Shop. Currently, there’s banner that runs across Las Vegas Blvd. welcoming people downtown. Locals refer to this banner as Bruce. You wouldn’t like it when it’s angry. So, that’s the arch part of the project. 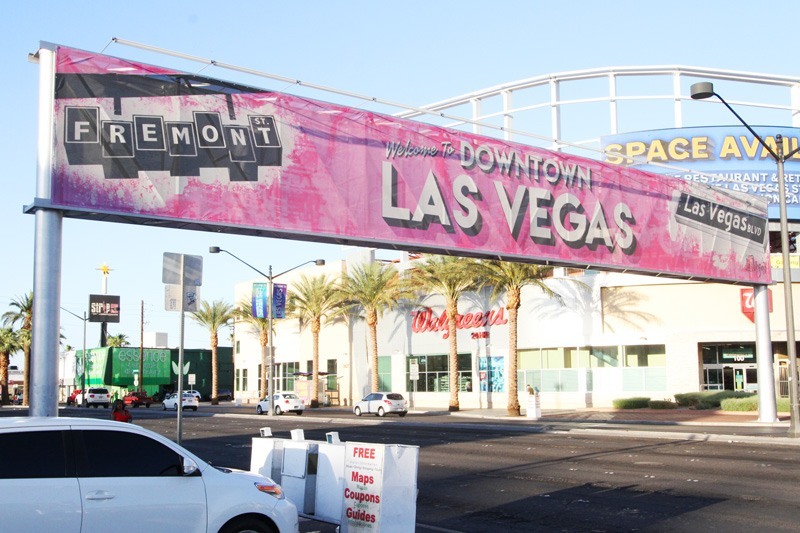 The second component of the project is a display located a few blocks away from the current welcome banner, at the spot where Las Vegas Blvd. and Main Street meet. This is not, as widely reported, the site of the former “Welcome to Downtown Las Vegas” sign. That sign was demolished by a drunken asshat in July 2016. Let’s break this down, because the alternative is to have a life. First, let’s look at the former site of the “Welcome to Downtown Las Vegas sign.” It’s boring, but could end up being where the new arch is installed. 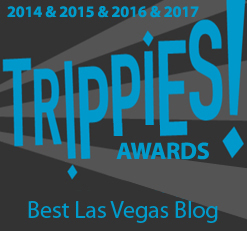 It’s at South 4th Street and Las Vegas Boulevard. It’s rare when our photos capture so much not much. Next, let’s look at the second part of the gateway project. It’s an homage to Las Vegas, featuring showgirls, chips, dice and a roulette wheel. This display is definitely going where South Main Street and Las Vegas Blvd. connect. 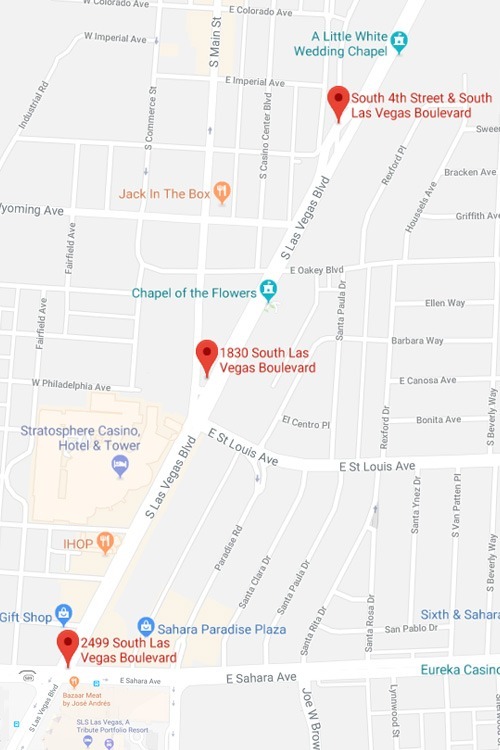 The address is 1830 S. Las Vegas Boulevard. 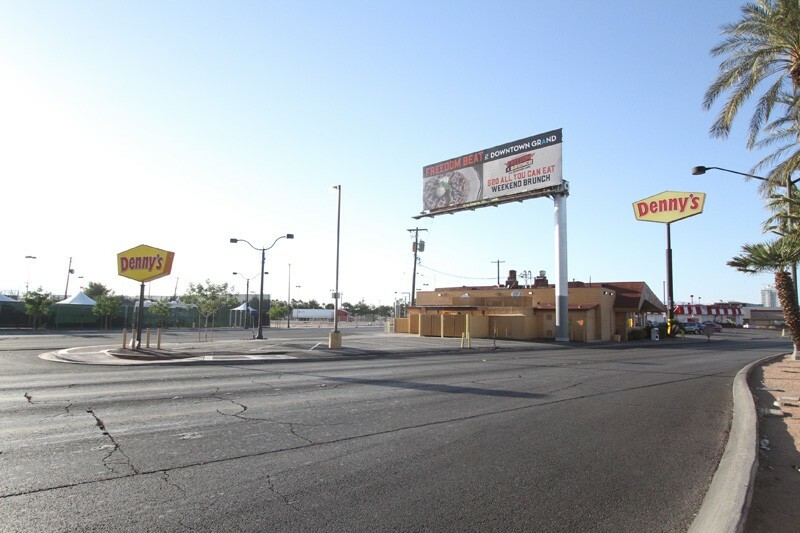 The funds approved by the City of Las Vegas were to acquire property rights for a corner of a Denny’s parking lot. Yes, we took a photo. Do you know this blog at all? Seriously, the things we do for you. Here’s an overhead view of the site. The City has thoughtfully highlighted the space it’s purchasing the right to use for this new welcome display. We are now, officially, boring ourself. Now, here’s a map of where everything is in relation to everything else. Farthest north is the site of the former “Welcome to Las Vegas” sign. In the middle is the future site of the welcome display with the showgirls. Farthest south is the current welcome banner. Thanks for helping us clear this up, Google Maps. That’s where the downtown Las Vegas gateway project stands at the moment. We’ve been told the designs for both the arch and the sidewalk display have been approved, but there’s no word on when they might be installed. 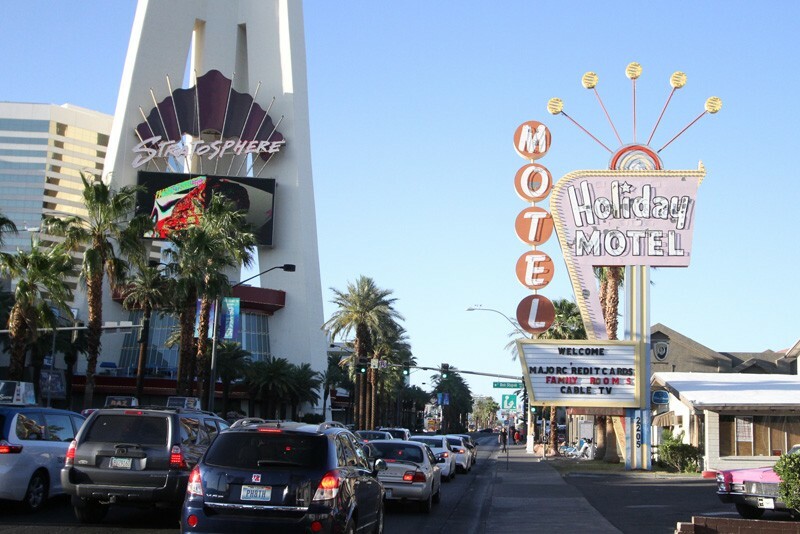 While these new welcome signs may not become iconic like the “Welcome to Fabulous Las Vegas” sign on the south end of The Strip, we’re a big fan of the concepts for the arch and over-sized gambling paraphernalia, so we can’t wait to see the finished product. Not you, the one who knocked over the welcome sign. We asked you not to skim. 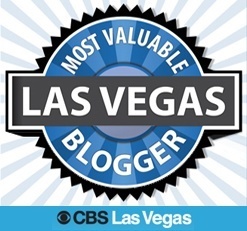 This entry was posted in Las Vegas, Vital Signs on May 21, 2018 by Scott Roeben. Any/all the “welcome to Downtown” signs etc need to be DOWNTOWN. Technically, the artist is correct and I like the placement just past Sahara Ave since that is actually Las Vegas. I always found it strange that the “Welcome to Las Vegas” sign is in Paradise, and not Las Vegas. Putting something like this in the “true” starting spot of the city of LV makes a lot of sense to me. Maybe add an alien to the triangle display…as a nod to our extraterrestrial overlords as well as to our future incarnation as a tech hub? 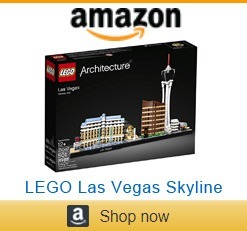 This should help Las Vegas overtake Reno as the biggest little city with an arch in the hemisphere west of Missouri. Where will the “This is the town that Moe Green built” sign going to go?